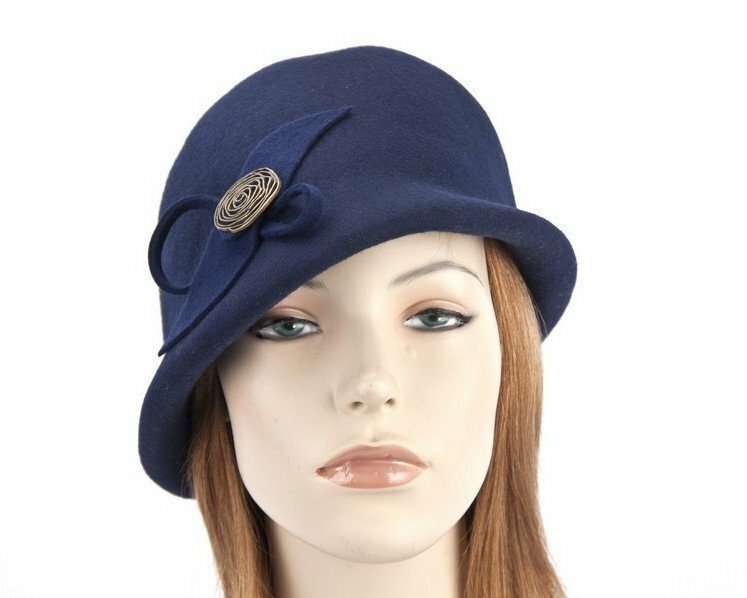 This elegant navy felt hat was inspired by 1920th fashion. Featuring bucket shape with double brim and brass buckle, it is a perfect choice for autumn/winter race events or everyday casual wear. We are making hats in Melbourne from 1963 and you can be assured of highest quality of materials and workmanship.